We provide instrumentation services for many Phoenix Arizona commercial businesses. Our Instrumentation services include troubleshooting, monitoring and installing new equipment. Instrulink’s personnel has broad experience designing, fabricating and installing electrochemical sensors, monitors, panels, chemical feed systems and instrumentation systems all across the US. Installations include clients as diverse as resort attractions in Las Vegas to steel plants in Pittsburgh to refineries in Texas. Lately our focus is in the Southwest in water and wastewater applications for utilities and private entities. 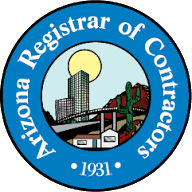 Instrulink in a licensed electrical contractor for Arizona with reciprocity in California, Nevada and Utah.